Football West is looking to send state teams to compete in the World Masters Games in Auckland in 2017. The World Masters games have become a major sporting event since being established in 1985 with the first games in Toronto. In 2017 it is anticipated there will be over 25,000 participants across 28 sports and 45 disciplines. Expressions of interest are called for female players’ to represent WA in over 40’s, 45’s (pending level of interest and experience) and 50’s and coaches and managers for the respective teams. 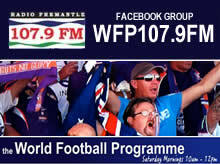 Please reply to WMG17.footballWA@gmail.com to confirm interest by Friday 15th April. A meeting will be held on Tuesday 19th April with interested parties. Trials, if required, shall be held in late April to select teams. Selection is available to all registered female players who meet the age criteria at the end of 2017. While some funding may be available through Football West players, coaches and managers will be expected to contribute to the trip through fundraising and personal contribution. It is anticipated the selected teams will also have the opportunity to participate in the Pan Pacific Masters games in the Gold Coast in early November 2016. Check out all the action and drama from the Women’s Premier Division and Division One Night Series finals. Former Melville City midfielder Emma Ylias came back to haunt her former club by scoring the only goal as Queens Park won the Women’s Premier Night Series Final 1-0 at Coker Park last night. In front of a big crowd, which included former Socceroos coach Frank Arok, the home side took the lead early but both sides had chances in an entertaining game. Queens Park coach Ben Anderton said the team’s hard work in the pre-season had paid off. “I thought we deserved the win,” he said. “They pressed us late but I thought we did enough to win it. Ylias, who joined Queens Park this season, said she came to the club to win titles. “It was a great contest and playing against my old club, who play a fast type of game, made it challenging but we’re happy we came out on top,” she said. It was a perfect start for Queens Park and they were ahead after only four minutes. Brooke Johnston played the ball out to Darmargo on the right and her deep cross picked out the unmarked Ylias at the back post, who headed home from close-range. Despite conceding the early goal Melville hit back and on a sweeping counter attack Lucy Jerram raced forward and slid the ball into the path of Holly Dangen, whose shot on the run flashed just wide of a post. Melville and Perth Glory keeper Evie Gooch saved well from Johnston early in the second half before Darmargo’s first-time shot deflected over the bar. It was still anyone’s game and Melville pressed late looking for the equaliser but with Brittany Woodfin and Learmont outstanding at the heart of the Queens Park defence they couldn’t find a way through. Queens Park defender Stacey Learmont was named Player of the Match. Stirling Panthers clawed back from a 2-0 deficit at half-time to win the Women’s State League Division One Night Series final 4-2 on penalties at Coker Park on Sunday night. Wanneroo City had made the most of a clinical first half as they raced to a 2-0 lead courtesy of a fine curling finish from Teal Bennett and a deft glance from Tahlia Murfitt. Stirling had always looked threating with their pace through Lauren Continibali, who crashed a fine effort off an upright, but found Wanneroo custodian Holly Cavalli in fine form in the first half as she pulled a series of clutch saves. It was not until an inspired second half did the Panthers manage to breach the resolute Roos defence. Panthers coach Frank Di Costa was pleased with the resolute character of his young side, many of whom were experiencing their first taste of the division through the Night Series, and put the second half showing down to patience. “I thought we were always in the game to be honest,” Di Costa said. “I thought the goals would come we just couldn’t afford to push the panic button. No individual showed more desire and tenacity than captain Danielle Monastra who broke a number of Wanneroo attacks in a frantic second half. Stirling were given a lifeline 15 minutes into the second half when Sophie Podmore breached the Roos’ off-side trap and raced away to slot past an exposed Cavalli. The goal seemed to spur both teams as Stirling looked for an equaliser while Wanneroo played on the counter as they searched for a third goal. With 12 minutes to play Stirling found an equaliser. Continibali had breached the offside trap again but a smothering defence failed to clear her initial attempt and Clara Lay followed up to expertly lob Cavalli and equalise. With the match drawing close to full time both teams spurned great chances to win the game at the death. Caitlin Vallelonga raced through on goal but once Cavalli stood her ground well and Sheridyn Graham had a chance to win it at the death but her effort trickled narrowly wide. The match went straight to penalties and with Stirling leading 4-2 following successful conversions from Lay, Lara Ameduri, Continibali and Monastra, Wanneroo’s Karen Wodzianski needed to score to give the Roos a chance but saw her effort over the crossbar. Coach Di Costa hoped the Night series win would give his girls some invaluable experience in their first season in the state league. “It’s our first season in the state league following promotion from metro div one last year and I don’t think many people would have seen (this) coming,” he said. Wanneroo City: 1. Holly CAVALLI, 2. Tahlia MURFITT, 3. Emily CHANG, 5. Kayla HOGG, 12. Heather BISHOP, 16. Jacqui KANE, 18. Faye CHAMBERS, 19. Dorte MACGILLIVRAY, 9. Sheridyn GRAHAM, 10. Michelle OVEINIKOVAS, 17. Samantha DASILVA, 7. Grace BETTI, 14. Casey SOFFE, 11. Teal BENNETT, 15. Emily ROACH, 8. Alex ROBINSON, 4. Suzan TONG, 6. Karen WODZIANSKI, 99. Nicole WRIGHT, 21. Liberty WARREN. Last season’s Julie Dolan medal winner Emily van Egmond and Johnny Warren medal winner Nathan Burns.